The year is 2029 and mutants seemed to have been wiped out entirely. Hiding in the desert are Logan (Hugh Jackman) and Charles Xavier (Patrick Stewart) who look to survive in this newly evolved world. A young mutant girl crosses the path of the former X-Men which brings trouble as a new threat looks to use young mutants as weapons. Together, Logan and Charles will travel across the country in order to keep the child Laura (Dafne Keen) safe. In what looks to be the final appearances from Hugh Jackman as Wolverine and Patrick Stewart as Charles Xavier, 20th Century Fox finally gave in and gave the fans what they wanted to see. No, not Wolverine in that classic yellow suit from the comics - much to my dismay. 17 years after the character first appeared in 'X-Men' (2000), 'Logan' finally gives us the x-rated brutality that is associated with Wolverine's deadly abilities and it is glorious. 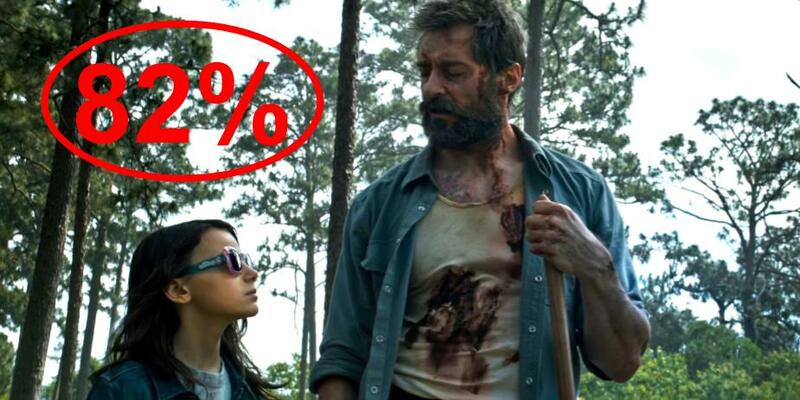 'Logan' follows fellow 20th Century Fox property 'Deadpool' (2016) in stepping up the violence and moves from a normal '12A' rating to a '15' here in the UK, showing that this film isn't going to be the same as the other family friendly superhero movies. If you are expecting bright costumes and hope from this movie, first of all, did you even watch the trailers? and secondly, you are not going to get that at all. 'Logan' is a bleak, dark film that will not have you leaving hopeful like others in the genre. To go back to the action within the film, we finally see the true brutality that Wolverine is capable of. The iconic character is ripping off limbs and faces as his claws go through skulls, torsos and anything to cause devastation. The film truly allows the fans to see Wolverine go berserk and showcase his rage in all its bloody glory. The change of rating allows audiences to see a new, much more gruesome side to what the character can do. This is handled exceptionally well and delivers exactly what you want to see from this character. The use of brutal action also works well with the character of Logan in this film. Previously, there has been some restraint but in this film, Logan is battered, old and fed up of life. Due to this, there is a reason to why he goes all out as he letting loose all of this pain and emotion that he has built up in a time of struggle. There is meaning behind the content and isn't just mindless to draw people into seeing a cool action movie. It is much more than that as it helps show what Logan has become. Not only does the action differentiate from other superhero film's but the story itself does too. In many ways, the film has much more in common with a Western film. Not only does the setting play into this notion but the story is more about character development with outbursts of violence throughout the film. The story deals with loss, redemption and protection as Logan looks to take care of the young mutant Laura/X-23. The film doesn't focus entirely on the villain's scheme throughout the whole movie. Of course, it sets up the film but after we are introduced to the characters, the film takes more of a cross-country road trip feeling. This allows us to see the character development clearly, bringing a slow burn to the genre. This may put people off of the film as it is fairly unconventional within a superhero film. However, director James Mangold combines the elements very well, bringing a fresh superhero film that makes you really care and feel for the characters. Of course, by now you care for the characters who have been in previous 'X-Men' films but 'Logan' shows the characters struggling in new ways that bring more emotion to the film. This also allows Jackman and Stewart to showcase more range which may not appear in as many films in the genre. Due to this, the film can boast the best performances from both Jackman and Stewart as they excel in every way, showing both great emotion and humour whilst keeping the film grounded at the same time. The film's problems seem to come in the form of its villain, no surprise for a Marvel related film. A new group of villains are introduced as people from an evil company 'Transigen'. Boyd Holbrook as introduced to be the film's main villain and does show promise early on as he goes toe to toe with Jackman early on. As the film goes on, Holbrook's character gets a little lost in the mix, stepping out the way for other characters who weren't nearly as effective or intriguing as himself. This does make the ending feel a little more like traditional Marvel films as you do get a load of faceless villains in a final showdown which in fairness, is one of the few superhero tropes it falls back on. 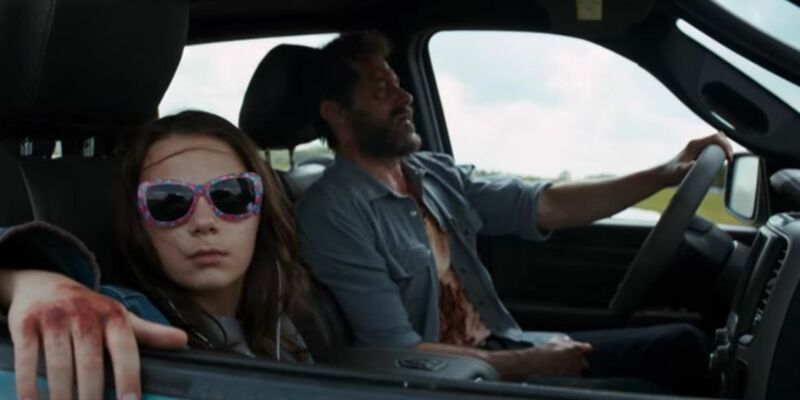 Saving the best thing for last, Dafne Keen shines as Laura/X-23, the child that Logan and Charles look to protect. Keen steals the show, showing great talent for someone so young. Keen doesn't say a word for the first half of the film, instead, she lets yells and her facial expressions show exactly what she is feeling. The character is truly remarkable as you have this seemingly cute and innocent little girl, who at the flip of a switch, can become an instant killing machine with no remorse. Keen holds her own very well alongside Jackman and Stewart and is equally at strong with her range. The finale is where she really succeeds as she does exceptionally well with the action and makes the ending even more emotional. This is a character we will want to see more of as Keen shines on her film debut. If this is to be the last film for Jackman and Stewart, then there is no better way for the pair to go out. This is a very satisfying film which fans will surely love. There is great action, characters and emotion, making 'Logan' a worthy addition to the X-Men universe. So have you seen 'Logan'? If so, what did you think of the film? I hope that this review was ueful for if you were planning on seeing the movie or not. Once again, thank you for taking the time to read my review, it is much appreciated!